Gender Opportunity Opportunità di Genere: Happy Birthday Jane!!! 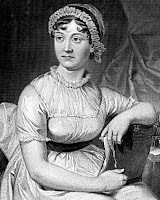 Yesterday, 16 December, was Jane Austen's Birthday...we love you!!! And don't forget: "There’s no one to touch Jane when you’re in a tight place."